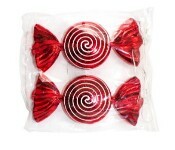 Perfect for the candy lover! 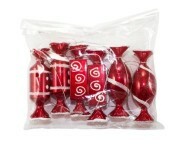 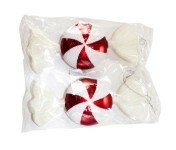 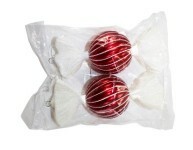 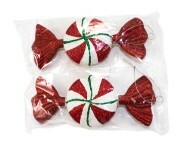 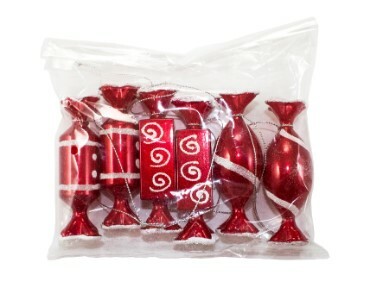 This 6 piece ornament kit, white plastic peppermint candy ornaments look almost like the real thing with a red and white glitter swirl. 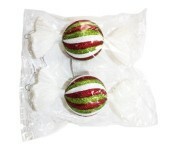 They are sure to make any tree or wreath delightfully delectable.